In the two previous posts (found here and here) we examined section “B” (5:3–10) of Jesus’ Sermon on the Mount which contained eight beatitudes, or, “Blessings.” In this post I want to discuss the connection between those eight blessings and the eight warnings which Matthew records in the closing section of Jesus’ Sermon. The eight warnings, as you may have noticed from the previous post linked above, are contained in section B’ (7:13—27), the literary section which corresponds with Section B.
I also realize that after a cursory glance through both of those sections it might not be obvious that section B’ (7:13—27) parallels section B (5:3–10). That is why I believe the best way to begin noticing the parallels is to simply point out that there are eight sections total in each. Just count how many pairs of concepts and phrases are there. There are eight distinctive statements which form section B as one literary unit,1 and there are eight in section B' as well. In the first few verses (7:13-14) Matthew records this section with two pairs of ideas: a gate that is wide with a way that is easy, versus a gate that is narrow and a way that is hard. 1) Enter by the narrow gate, for the gate is wide and the way is easy that leads to destruction, and those who will enter by it are many. 2) For the gate is narrow and the way is hard that leads to life, and those who find it are few. 3) Beware of false prophets, who come to you in sheep's clothing but inwardly are ravenous wolves. You will recognize them by their fruits. 4) Are grapes gathered from thornbushes, or figs from thistles? So, every healthy tree bears good fruit, but the diseased tree bears bad fruit. A healthy tree cannot bear bad (σαπρὸν = “rotten”) fruit, nor can a diseased tree bear good fruit. Every tree that does not bear good fruit is cut down and thrown into the fire. Thus you will recognize them by their fruits. Following that pair we find another pair (vv. 21-23): one group of people who say “Lord, Lord” enter into the kingdom because they do the will of Jesus’ Father, and another group of people who say “Lord, Lord” are cast out of the Lord’s presence because of their lawlessness. 5) Not everyone who says to me, ‘Lord, Lord,’ will enter the kingdom of heaven, but the one who does the will of my Father who is in heaven. Finally, we arrive at the fourth pair (vv. 24-27) in which we find one group who listens to the words of Jesus and does them, and another group who listens and does not do them. The former does not fall, whereas the latter most certainly does. 7) Everyone then who hears these words of mine and does them will be like a wise man who built his house on the rock. And the rain fell, and the floods came, and the winds blew and beat on that house, but it did not fall, because it had been founded on the rock. 8) And everyone who hears these words of mine and does not do them will be like a foolish man who built his house on the sand. And the rain fell, and the floods came, and the winds blew and beat against that house, and it fell, and great was the fall of it. In light of all this, I think it’s obvious that Matthew clearly recorded four pairs of warnings, or, eight warnings total in order to balance the eight “blessings” he listed at the beginning. But were are still left wondering what the connection is between them all. We saw how that background applied to the beatitudes of this Sermon. Now let’s see how it applies to the warnings. In the first pair, Jesus warns his disciples that there was an easy “way” with a “wide gate” that led to destruction, and many Israelites among them would enter it to their own destruction. How would this description of a “gate” have illustrated an end-point of destruction? 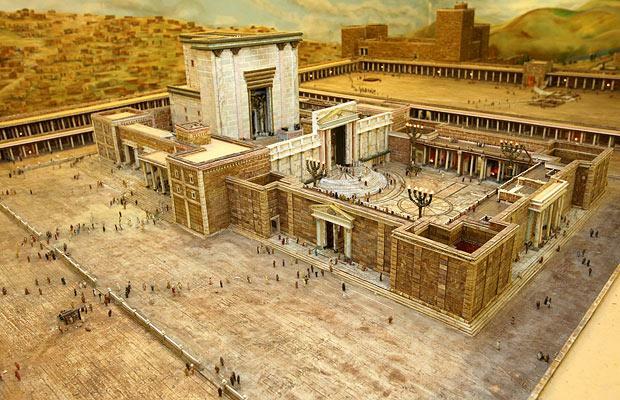 Historically speaking, Josephus records that hundreds of thousands of Jews entered the wide and “Beautiful Gate” of Jerusalem and died therein during the siege of Jerusalem between A.D. 66—70. Thousands of more Jews were captured during those wars and enslaved by the Roman government. It is possible, if not likely, that this “gate” language alluded to such destruction. But even more interesting is the connection with the difficult “way” of those who followed Jesus and the easy “way” which lead to the wide gate and their consequent destruction. We see this connection in the following pair. That passage quoted comes from Acts 20:29-30, and, interestingly, that was a letter which Paul wrote to the Presbyters of Ephesus. Hopefully all of these dots are starting to connect. In the Sermon on the Mount Jesus was addressing Jews who were, at that time, undecided as to whether they would follow him or not. If they followed him, they were warned it would definitely be the “hard way,” not the “easy way” which would lead them all to destruction. Throughout the book of the Acts of the Apostles we find a similar path, but the chief enemy of the Christians were Jewish authorities. There we saw that the Christ-following Jews were labeled as those who follow “the Way”, but that didn't stop the loyal disciples of anti-Christian Judaism in Ephesus from speaking evil about them, and even plotting evil toward them. Paul even wrote back to the Presbyters later on in Acts and described those same disciples of Judaism as “grievous wolves” entering “the flock” and not sparing them. What this picture illustrates is simple: the New Testament shows us who the enemies of Christ and his sheep were, and they were Jews who remained loyal to the idolatrous and scandalous Judaism of the first century. The "followers" of Jesus on the Mount would either become loyal disciples to the “rotten trees” of anti-Christian Judaism, thereby producing the rotten fruit which Jesus condemned in Matthew chapter twelve, or they would follow Jesus and remain his loyal disciples through "the hard way" that leads to life. With the next pair of warnings, the message is pretty simple. It describes many people within Israel who would not actually do the will of Jesus’ Father, and therefore would not inherit the Kingdom of God. They were false sons of God characterized by “lawlessness,” not obeying the words of their Messiah, Jesus Christ, or his apostles. Although that is a true statement all by itself, that is probably not what was originally envisioned. What most Christians today don’t realize is how dehistoricized and far-removed from first century reality such interpretations are. Sometimes I also can't help but wonder if the answers are more obvious than we would like them to be. Given all the connections mentioned above so far, it would not be a stretch to imagine that Jesus was illustrating a great flood coming upon the house of Israel for refusing to follow his words (and by extension, the words of his apostles) in the first century; and each warning takes for granted that not every house in Israel would survive the Jewish wars of 66-70 A.D.
Only a fool would have chosen to build his house, as usual, upon the sand in that generation, as though no warnings were given to them about soon-coming judgment upon the land. Only a fool would have refused to build his house upon the rock, the foundation of which was Jesus and his Apostles. 1. Scholars debate as to whether there are eight or nine "official" beatitudes in chapter five, but based on grammar and literary parallels alone, there are most certainly only eight which were intended to form one distinctive literary unit. 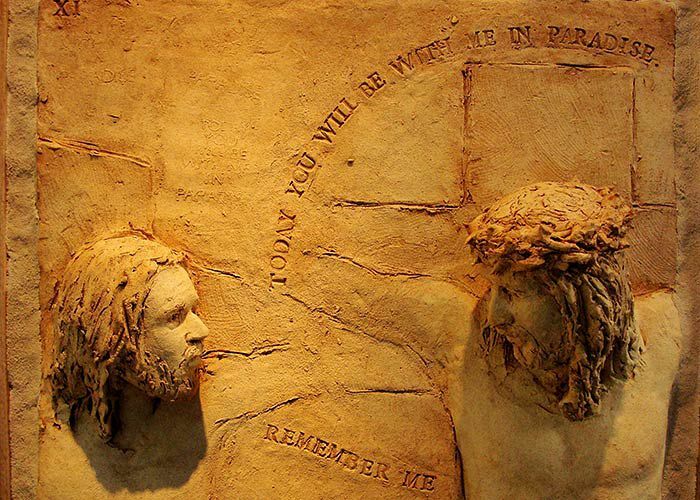 As far as the grammar is concerned, all eight beatitudes of verses 3 through 10 are addressed in the third person plural ("Blessed are those..."), whereas in verse 11 Matthew records Jesus' words in the second person plural, saying "Blessed are you-all..."). Also, the first beatitude of verse three begins and ends with an inclusio--a structuring device which brackets the beginning and end of a distinctive literary unit--that says "...because theirs is the kingdom of the heavens." Who are “the merciful”? And is this merciful character contrary to a hunger and thirst for justice? How should we distinguish between mercy and justice? One of the round-about ways I have tried to understand such questions is to think about how Christians today describe God, Jesus, and our relationship with Him. For example, Christians tend to talk a lot about God’s “grace.” Grace has, for a long time, been defined among Christians as receiving what we do not deserve, whereas “mercy” is defined as not receiving what we deserve. Grace is “unmerited favor”; there is nothing you did or could do to receive it. Grace is uncalled for, unwarranted, and freely bestowed. Mercy, on the other hand, is underserved treatment in light of what you did or could have done differently. Mercy is called for, warranted, and conditionally bestowed. Grace is positive favor irregardless of what justice demands; Mercy is leniency or mitigation in regard for what justice demands. Justice does not necessitate mercy. Yet mercy cannot be implemented without an absolute standard of justice. I think these are all helpful distinctions. Therefore the merciful could be understood as those who hunger and thirst for Godly, or absolute, justice, the justice which only God can perfectly know and dish out. Like Jesus, the merciful are meek before the wicked who oppose Him; they mourn over what absolute justice demands, and so, as St. Augustine pointed out, they come to the aid of the miserable. By contrast, those who remain “rich in spirit” should be expected to receive absolute justice without mercy. Who, then, according to the next Beatitude, are “the pure in heart”? And what does that have to do with “seeing God”? The Greek word for “pure” could also (and probably does) mean “clean.” It is most frequently used throughout the Torah to describe those in need of ceremonial impurity, in order to draw near to God. For example, within God’s Law the hands of God’s people needed to be clean, free from blood and other impurities. Their clothes needed to be clean, free from blood, bodily fluids, and contact with the dead. Their sacrifices also needed to be clean, free from blemishes and sickness. Their houses needed to be clean, free from pollution, mold, and contagious skin diseases. All of these were necessary to draw near to God in His house, but interestingly, a “clean heart” was not prescribed; instead, a “clean heart”, was developed through a relationship with God in his Temple. Such was not only taught in the Torah, but Paul also implies that he thought it developed over time through interaction with God. According to I Timothy 1:3-11, it’s developed through understanding and trusting in the goodness of God’s Law, in accordance with the gospel of God. Through understanding and believing in the goodness of God's Law, a “clean heart” that is accompanied by a good conscience and sincere faith in Jesus Christ produces the love which Paul aims for when he commissioned Timothy to confront enemies within the Church. Go and read I Timothy 1 for yourself. It's all taught there. In God’s Law, a person who is “clean in heart” is one who fears God and will not betray Him; he is one who loves God with undivided allegiance with all his heart (Deut. 6:1-6). The “clean in heart” are allowed to ascend the Mountain of the Lord, and stand in His Holy Place (i.e the Temple, which was God's "House"). The clean in heart are the ones who want to remain faithful to the Lord without reservation or falsehood, in order to teach others the ways of the Lord (Psalm 24:3-4; 51:10; 73:13). All of this, of course, connects with the next Beatitude. So then, why do we find, in the following Beatitude, it forecasted that “the peacemakers” are going to be called “sons of God”? I think that an understanding of that question goes along with understanding of first century history. Most Christians I know have absolutely no clue about what was going on in the first century. Nevertheless, we find a taste of something crucial woven throughout the New Testament Scriptures. Indeed, throughout Matthew’s Gospel and throughout the history of first century Christianity, the “sons of God” were divided between Christian Jews and anti-Christian Jews. The anti-Christian Jews of Rabbinic Judaism considered themselves to be the true “sons of God.” That's a fact. According to various historians (like Eusebius, Hegessipus, etc. ), first century Rabbinic Judaism was hostile to the “conversion” of Jews to Christianity. Josephus is also heavy on the emphasis of how radical and extreme first century Judaism was. Christian-Jews, on the other hand, did not consider themselves to be “converts,” but rather true heirs of the faith of Abraham through Israel’s promised Messiah; and they were at peace with their rejection by Rabbinic authorities. Jesus, therefore, was likely teaching Israel that peacemaking would be essential for the world to see who was and was not a child of God and a faithful worshiper of God. It was because Jesus forecasted that there would be warfare and bloodshed that he also forecasted the need for his disciples to be true, non-violent peacemakers. Here are some questions floating around in my mind, which I think are helpful for us all to consider: Is peacemaking contrary to a hunger and thirst for justice? Is peacemaking contrary to just warfare? Is there even such a thing as just warfare, if God’s people are called to be peacemakers? One interesting implication of that statement by Augustine is the way in which it relates to God. If it is true that people who go to war desire nothing more than to come to a glorious peace through it, then what does this teach us about the desire of the God we image, who does go to war against His enemies? The Scriptures only continue adding to this complex paradox. For instance, it is in the Scriptures that we find God waging war sometimes, but not all times. God wages war against certain people, but not all people. Jesus, the Son of God, says that he did not come to bring peace, but a sword; yet Jesus also says blessed are the peacemakers, for they shall be called sons of God. Jesus says that those who live by the sword will die by the sword; yet Jesus is the one who promises that many people of Israel in his generation would fall by the edge of the sword and be led captive among all nations, and Jerusalem would be trampled underfoot by the Gentiles (Luke 21). And in the book of Revelation we find a whole host of examples of Jesus and his angels waging war upon "the land" from "the heavens." In chapter nineteen the sharp sword used to strike down the unfruitful vineyard of Israel even comes from Jesus’ mouth. If such claims are all true, the complexities don’t end there. They get even more difficult to sort through once some other views of these saints come into play. For instance, both St. Augustine and St. Hillary believed and taught a “just war” theory, and they even contended against many enemies of the Christian faith; yet in all of their works they also promoted peacemaking and brotherly love, and in some of their works they even pray that God would avenge His persecuted saints in order to bring them peace. How in the world are Christians supposed to solve this great complex paradox? Believe it or not, I have an answer. Or, I should say, the Christian Tradition has an answer which is deduced from the Scriptures themselves. That answer might not satisfy all people, but I have an answer; and that answer begins by understanding the history behind the New Testament. The first century was a time for the people of Christ’s kingdom to make peace and promote brotherly love as much as possible, and to die for the sake of Christ as necessary. By such faithful peacemaking unto death, not only would Christians be dissociated from the “richness of spirit” among the Jewish brethren, but their faithful witness to the truth-claims of Jesus would not be futile either. With all of this in mind, one might also recall that in the book of Revelation, which describes first century Jewish persecution, we learn that the prayers of the saints who had died in the first century were heard, and the persecution they received for their faithful witness to Jesus was expected to be vindicated. That vindication of the prayers of Jesus’ peacemaking disciples occurred just as promised, by Jesus, beginning in the Jewish wars of 66 A.D. and definitively ending the old covenant administration in 70 A.D., by the destruction of Jerusalem and Herod’s Temple. Then they were each given a white robe and told to rest a little longer, until the number of their fellow servants and their brothers should be complete, who were to be killed as they themselves had been. When he opened the sixth seal, I looked, and behold, there was a great earthquake. Those of us who tend toward being bloodthirsty for justice, who struggle with jealousy and selfish ambition, need to learn how to pray for God’s mercy and peace upon His enemies and upon ourselves. Those of us who tend toward an unrealistic ideal of total peacemaking and pacifism, who delight in timidity or struggle with having any desire for justice (as though that desire itself is taboo in God’s sight), need to learn how to pray for God’s perfect justice. But as we pray for God’s justice and peace, we must not pray or live according to a double-standard. If we pray that others would receive God’s peace, we must be peacemakers ourselves. If we petition God to bring justice upon others who persecute us unjustly, we must expect the same justice to applied to our own selves as well, if God ever catches us persecuting others. Why are they “fortunate” if they are persecuted for the sake of justice? And what justice (or whose justice) are they going to be persecuted for? Those who are persecuted for the sake of justice are the same as those who are persecuted falsely on Jesus’ account. They go out among their family and friends, proclaiming the “Gospel of the Kingdom,” but receive persecution for it, as Jesus would forecast again in Matthew chapter 10. They were “fortunate” to be persecuted for “the sake of the justice” on Jesus’ account—on account of the Just One. They would also be persecuted for being more just than their enemies, and Jesus promised to reward their faithfulness with vindication. Since this is what Jesus promised to his first disciples, how much more does such a promise apply to his disciples in every generation thereafter?